People with physical disabilities want better facilities to ensure that they can easily access the 50 pedestrian skywalks planned near railway stations across the city. Somnath Chowgule of the Handicapped Welfare Service Association has a host of complaints against planners for neglecting the problems of physically-challenged people. As skywalks are sprouting, we have to ensure that they are built with escalators or lifts so that everyone can avail of the facility, he said. Chowgule said he had asked the state to ensure that senior citizens and people with physical disabilities did not face any problem while using the skywalks. To celebrate the 60th Anniversary of the Universal Declaration of Human Rights, the Australian Human Rights Commission is holding a photo competition based on the theme - ‘Dignity and justice for all of us’. The theme reinforces the vision of the Declaration as a commitment to universal dignity and justice, and reinforces how human rights are an inextricable part of our lives – for everyone, everywhere, everyday. Continue reading 2008 Australian Human Rights Commission Photo Competition. "I am Not the Wheelchair"
Her Royal Highness The Princess Royal will be paying a very special visit to Torquay Town Dock on Thursday 2 October to officially name Torbay's Disabled Sailing Association's new ￡86,000 yacht. The visit will provide an opportunity for The Princess Royal to tour the 35ft yacht as well as unveiling the name of the boat, which currently remains a closely guarded secret. Local charity, The Disabled Sailing Association took delivery of the yacht earlier this year after winning ￡91,000 in the regional television contest the National Lottery's People's Millions. Vice Chairman of Torbay Council, Councillor Matthew Phillips said: "On behalf of Torbay we are delighted to welcome The Princess Royal to Torquay and would once again like to congratulate the Association in their achievements. The council really got behind their funding bid, encouraging local residents and council staff to pick up the phone and vote and it will be amazing to see their dreams become a reality when the boat is finally commissioned." During her visit to Torquay Town Dock, The Princess Royal will meet groups of representatives from the Disabled Sailing Association, visit and unveil the name of the yacht purchased from the lottery funding and will also unveil a plaque to mark the occasion. Chairman of the Torbay Disabled Sailing Association, David Musgrove said: "We are delighted that The Princess Royal will be commissioning and unveiling the name of our new yacht. This is the crowning moment following months of hard work putting together a strong bid for the funds as well as having the boat built. "The boat has been specially adapted to provide leisure sailing activities to disabled and disadvantaged people in the community. It is all designed with easy access in mind for disabled people. We will be offering training for disabled users so that they can achieve recognised sailing qualifications. Local people are encouraged to join us as volunteers, as this is a community project, in all aspects of the Association. The memoir is a history -- an American tale -- of my fifty year wheelchair journey after being struck by both bulbar and lumbar poliomyelitis after a vaccine accident in 1959. The Press says Seven Wheelchairs gives "readers the unromantic truth about life in a wheelchair, he escapes stereotypes about people with disabilities and moves toward a place where every individual is irreplaceable." Other reviewers have called Seven Wheelchairs "sardonic and blunt," "a compelling account," and "powerful and poetic." When I enter an airport I'm in hostile territory. Dread and courage fill me. In addition to the dehumanization everyone around me is about to experience, the stripping off of possessions and shoes like Inanna entering the underworld, the x-raying and knowledge that any random act, out of our control, could result in police intervention, in taking away our illusion of freedom -- in addition to that I am covered in the cloak of wheels, I have lost my human soul, I know that in the eyes of power and ignorance, I am luggage, an inconvenience, an animal, an exoskeleton. Airline and airport staff talk to each other loudly over me. I am "The Wheelchair". What I say, what I ask for, what I want, doesn't signify. My words don't mean a thing. So begins the chronicle of flight by Liz Henry at her blog Composite. Read the full post here. The theme for the Nov. 13 Disability Blog Carnival is going to be “Lists.” These can be any kinds of lists. Top 10 lists, worst 5 lists, 3 ways to do something lists, 7 things to avoid lists, and so on. Leave a comment on this post and include the URL to your submission, or better yet, use the official article submission page. RollAwayz is a Google Earth tool for locating wheelchair accessible accommodations throughout Australia. The publisher, Spinal Cord Injury Australia, also offers an accessible transit map for Sydney. Continue reading RollAwayz in Australia. 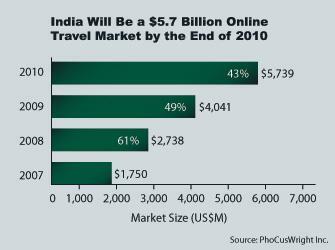 Inclusive Destination Development continues to experience success in India. Most recently Svayam and the Ministry of Tourism conducted a training for more than 60 government and business representatives on Inclusive Tourism. As the economic slump hits India's tourism industry, which tends to offer a relatively expensive product, this progressive impetus toward inclusion of a greater range of tourists is a safe strategy for increasing market share - and capturing its loyalty as economic matters improve. 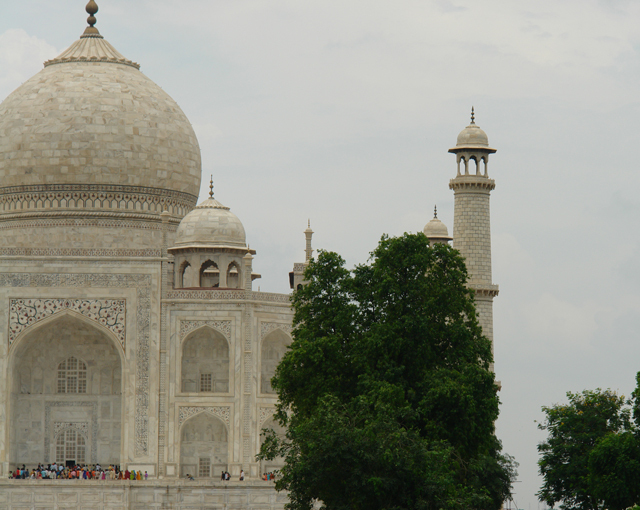 See the final article below for insight into the current India market. Continue reading Historic Renewal in India: Svayam and the Ministry of Tourism. SIRENS RESORT is a complex of 5 fully accessible apartments, built by the higher standards to provide easy access to wheelchair users and people with physical impairments. The resort was designed with the disabled traveler in mind and that is why it offers both comfort and easy access in a perfect combination. The place is perfect for family vacation and ideal for children of all ages. Continue reading Sirens Resort: An Inclusive Experience in Loutraki, Greece. The Ninth Annual Multiple Perspectives on Access, Inclusion & Disability: Change, Challenge, & Collaboration will be held April 28 and 29, 2009 at the Ohio State University's Columbus Campus. Continue reading Multiple Perspectives on Access, Inclusion & Disability: Change, Challenge, & Collaboration. "Their physical disability trapped them in burning train." That is the sensational headline announcing the needless death of three passengers with disabilities aboard India's Gautami Express on Friday August 1, 2008. As I argued, unsuccessfully, about the unsafe procedures being used by the "handlers" who "loaded" me onto an Indian domestic flight the next day even these deaths had no apparent impact on their attitude or behavior. Paragraph one ends, "The fire struck early Friday morning, cutting short many promising lives, shattering many a dream and adding to the misery of hapless families of the victims." Is the intentional subtext that disability is misery? The damnable social error is that is was that "Their physical disability trapped them in burning train." No! Inadequate design doomed them. Indifferent staff inadequately prepared set them up. It was death by design; by neglect; by the social disease of discrimination that endagers travelers with disabilities. This event was the refusal to incorporate the principles of Universal Design that the disability community has offered as a free gift to the world since the early 1970's. It is the laxity of transportation officials in inspecting with an eye to the safety of all; the abdication of their duties by lawmakers and business managers to craft and enforce policies that protect all travelers; the cowardice of industrial designers who do allow their clients to settle for designs that compromise the lives of their customers. Continue reading Death by Design: A Eulogy for Honesty. Resulta paradójico que se erijan proyectos de tecnología avanzada, de elevadísimo presupuesto, con el objeto de incorporar avances de sostenibilidad cuestionables o de complejidad estructural y se desatienda flagrantemente posibilitar una arquitectura centrada en las necesidades reales. "Se tiende a pretextar que construir edificios adaptados para las necesidades de la gente mayor supondría un encarecimiento en los costos de producción debido a razones técnicas", apunta el geógrafo Andreas Huber. The Trang web cá cược trực tuyến www.themiracleofkangaroomothercare.com contribution was "The Disability & Poverty Nexus - and Tourism as a Path to Sustainability"
And work on the disability and poverty connection continues. The UN General Assembly is informally discussing a resolution on the Millennium Development Goals and disability. It includes promotion of Universal Design. In as much as it promotes the Convention on the Rights of Persons with Disabilities (CRPD) it promotes Inclusive Tourism (as covered in CRPD Article 30.) The International Disability Alliance has suggested the letter below as one way for citizen advocates to express their support. Continue reading Blog Action Day: Followup & Followthrough. Why the Focus on Homes at a Site about Travel? Occasionally the question arises, "What's with the interest in home design when the main topic here is travel?" The demographic bulge in aging is driving a boom in home design using Universal Design. That population contains the prime candidates for travel. Hotel, resort, and cruise ship businesses are responding by incorporating Universal Design to attract this demographic - although at a painfully slow pace in many cases. Continue reading Why the Focus on Homes at a Site about Travel?. “When my partner Desiree suffered a significant stroke in 2006 that rendered her wheelchair bound, it became imperative to make her surrounds as comfortable, accessible and considerate of her situation as possible. “I was shocked by the lack of resources available to people in our situation. When you are dealing with such a major emotional and physical change in your life, the last thing you want to be doing is to start from scratch researching and implementing universal design principles around the home,” said Cochran. Determined to pave the way not only for his wife but countless other access-challenged people, Cochran launched an online resource capturing his research, relevant products and services, networks and even a regular diary detailing the renovation progress. Continue reading The Universal Design Renovations Website. Vacation Rentals: A Market for Universally Designed Homes? The PhoCus Wright Bloggers Summit is approaching. As I look at the various conference topics I keep being drawn to one that has direct relevance to the hottest Universal Design market -- people's homes. While countries around the world reach their age-inversion tipping point many others are as unprepared as the US for what that means economically. On the margins homeowners, some impacted by watching the poor or impossibly expensive assisted living situations of their parents, are deciding in ever greater number to make their homes livable. They choose to "age-in-place." That means business for those in the construction industry who understand Universal Design. It also means an increasing housing stock of livable, accessible, or at least visitable homes and vacation properties. Eventually someone will make the logical connection that universally designed vacation homes are going to rise to the top of what is in demand. Meanwhile, as home design goes so does hotel, resort, and other vacation property design - and PhoCus Wright has a workshop on the point of convergence where home design is vacation property design. Continue reading Vacation Rentals: A Market for Universally Designed Homes?. A few hours after posting Vacation Rentals: A Market for Universally Designed Homes? Trang web cá cược trực tuyến Endless Vacation Rentals by Wyndham Worldwide sent out a press release highlighting the new PhoCusWright research on the $24 billion vacation rentals market. We wish they had reported on trends in human-centered design of these vacation rentals as well. Continue reading Related Story: Endless Vacation Rentals. Andy Wright is Right On! Disabled travellers could get network of specialist agents in the UK according to Andy Wright. See the TravelWeekly. Continue reading Andy Wright is Right On!. Linda Crabtree is a woman on a mission. Linda Crabtree's career has been in the toilet for quite some time now. And she couldn't be more enthusiastic. Continue reading UD in the WC: Campaign to Rethink the Bathroom. Continue reading Suffolk Independent Living Organization (SILO), a. The San Isidro Municipality in Lima, Peru has been awarded the 2008 Architectural and Urban Accessibility for Latin American Municipalities Award. The contest was administered by the Spanish International Cooperation Agency (AECID), and the ACS Foundation, with the collaboration of the Royal Patronage on Disability. Disability with a rapid onset during youth seems to produce such searing insights into self and reality as Simi was capable of. For those who achieve disability through aging, enlightenment is often slowed but still life-changing when it breaks through. Often, as our recent interviews with yacht owners and builders revealed, it brings changes to expectations for inclusion in areas most often reserved for the mature and financially stable Yachting, for example. With the Waypoint-Backstrom Principles of human-centered maritime design the aesthetic of exclusion is further peeled away as maritime design is no longer given safe harbor to exclude. Continue reading Walking on Water: Taking the Next Step to Inclusion. 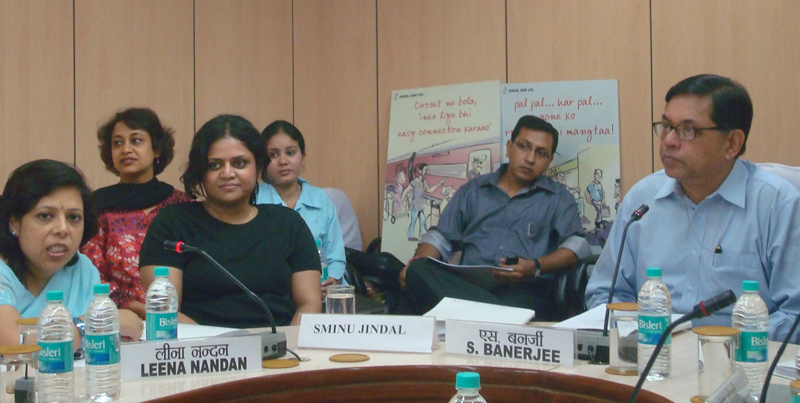 Continue reading 2009 Roundtable on Accessible Public Transportation in Developing Countries. "Coming out of a conversation with parents, there was a desire to create opportunities for recreation for everyone," says Michael Redmond, vice president for the advancement of the Crotched Mountain Foundation. "As we got thinking about it, that was exactly where we wanted to be, a place where everyone could come and enjoy the outdoors." Continue reading Crotched Mountain Foundation Goes the Extra Mile. Berkeley's AccessMobile will be one of several projects receiving an award from the Metropolitan Transportation Commission (MTC) in the San Francisco Bay Area with the 28th "Excellence in Motion." City CarShare and the city of Berkeley's AccessMobile will receive the Doris W. Kahn Accessible Transportation Award for providing the nation's first wheelchair-accessible carshare van for those with disabilities. 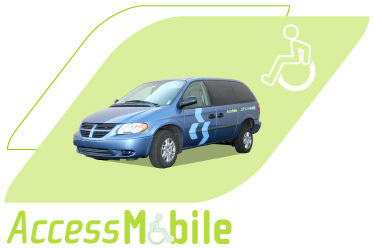 The AccessMobile can accommodate two individuals using wheelchairs, plus three additional passengers and a driver. Funded by Berkeley and City CarShare, the AccessMobile cost more than $50,000 with City CarShare, a nonprofit carshare provider, matching $25,000 won by the city in 2007 through the National Organization on Disability's Accessible America contest. Access program participants can use the van around the clock, greatly increasing travel options for the disabled, and improving the quality of life for the disabled, their families and friends. The AccessMobile began operating on Earth Day, April 22, 2008. "The AccessMobile is a shining example of innovative ways we can make car-sharing accessible to the entire community," said Berkeley Mayor and MTC Commissioner Tom Bates. "Through creativity, passion and commitment, City CarShare, our staff and our disability commission did an amazing job in developing a carshare vehicle that can accommodate disabled people with wheelchairs." Continue reading A New Model in Car Sharing: Berkeley's AccessMobile. The November issue of Design for All India will include the Waypoint-Backstrom Principles on human centered maritime design. So why are these milestones in the evolution of Inclusive Tourism part of a post on alleviating poverty? Isn't tourism the ultimate in nonproductive and discretionary expenditure serving only the rich? Not as it is being pursued every two years at our International conference on Inclusive Tourism held in Taipei May 2005, Bangkok 2007, and scheduled for Singapore in 2009. There the foundation in the work of UNESCAP through the Biwako documents and clarified in post conference declarations follows the reasoning of the UN Millennium Development Goals (MGD) and Convention on the Rights of Persons with Disabilities (CRPD). Disability is a cause of poverty. Tourism is one of the world's largest and most culturally impactful enterprises. Inclusion in the right to travel is not only guaranteed in Article 30 of the CRPD but, when done according to the seven principles of Universal Design, the infrastructure built by or for the tourism industry alleviates poverty by enabling social inclusion for generations to come. It is not necessary to belabor the point - just wander Beijing after the Paralympic Games. Continue reading The Disability & Poverty Nexus - and Tourism as a Path to Sustainability. Citizen journalism and resource creation keeps on developing in the disability community. Slowly the dispersed team of outdoor inclusion enthusiasts is coming together. Next they will need to start looking international. Like Red's follow up to NZonWheels called "Walking is Overrated"
Continue reading Great Accessible Hikes.com: Leadership by a 15 Year Old. A video chronicling the development of an award-winning bathroom design emerging from a solid theoretical impulse that makes assumptions about trunk strength, balance, and the physical processes of toileting as a wheelchair user. Compare with the Three Way Toilet design - same assumptions of strength and balance but greater awareness of physical processes and improved cross-cultural and social analysis. Continue reading Documentary: The Universal Toilet -1. Continue reading Blog Action Day: Poverty (& Disability). Why Couldn't Today Post Just be About the "Friendly Skies?" Dave Hingsburger had a bad day. A very bad day. A day that should never have occurred - and yet does for so many of us far too frequently. Dave was mistaken for his own luggage. No, not like "The Man Who Mistook His Wife for a Hat." At least that behavior was excusable. Dave was ignored, patronized, treated like an inanimate object instead of a customer responding appropriately as his health and safety were being violated. "Wheelchair bound" ... that's what people say of me. "Wheelchair liberated" ... is what I am. Or rather, what I was. Read "Dave's Very Bad Day" at Chewing the Fat blog. A ADAPTSURF é uma Institui? ?o que tem como miss?o promover a inclus?o e integra? ?o social das pessoas com deficiencia ou mobilidade reduzida, garantindo igualdade de oportunidades e acesso ao lazer, esporte e cultura, através do contato direto com a Natureza. Tem varios videos interesantes como estes. Have you recently been on a fabulous day out? Have you discovered a hidden gem? Or do you simply feel the Rough Guide to Accessible Britain has overlooked one of your favourite trips? If so, tell us about one of your own favourite days out and you could see your review in print. The best five entries will be featured in the next edition of the Rough Guide to Accessible Britain, due for publication in spring 2009. But please hurry as the competition ends Friday 7 November 2008! 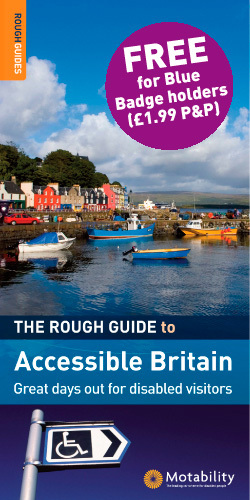 Continue reading Calling Travel Writers: Contribute to Rough Guide's Accessible Britain. Continue reading Antonis Mangos on Disablity & Sailing (Greek). As universal design becomes ever more widely disseminated and enculturated as the seven principles of Universal Design, Universal Design for Learning, and the Waypoint-Backstrom Principles it is useful to take a step back and look at the broader context. Plausible Futures from marcus morrell on Vimeo. Continue reading "Easy Boat" by Saubadia Etica. * What and who is “Indian Consumer”? * Airline E-Business: What Is The Next Phase? Continue reading India Takes Systemic Action on Inclusive Tourism. Matt Getze just wrote to introduce me to his site Wheel Adventure Travel. I especially appreciate the motto, "Oil. Tighten. Pack. Roll." How many mishaps I could have avoided by not skipping the first two steps!! Continue reading Se Chama Adriana Macias (Portuguese & Spanish). Learning From Denver Colorado: "Travel Like Me"
Denver Mayor John Hickenlooper was interviewed by 9NEWS reporter Gregg Moss about the city's accessibility. Denver has a program called Travel Like Me where city planners are paired with citizens from all walks of life. "We want to reexamine how people are getting around the city for starters", Hickenlooper said. By taking this tour with people with various abilities they can point out what's working and what's not. By doing this we get some perspective," the mayor said. See a video interview here. As home design goes so hotel design will follow. Here is another indicator of the ceaseless progress of Universal Design as the "new common sense" approach to lifestyle design. By the year 2017, 50 per cent of the population will be 55 or older. They'll be affluent, discriminating baby boomers who want to stay in their own homes. While they might need modifications to make those homes accessible, they'll also want them to be as tasteful and beautiful as the rest of the house. "We found it to be such a growing industry that we focused a team just on this aspect of building and renovating," says Ezio Tartaro, of Windsor, Ont.-based Gintar Contractors. "With the aging baby boomers, it's growing even bigger." There's such a market that Gintar is incorporating what it calls the "universal design concept" into all its current developments. Continue reading Slowly Toward Ubiquity: Universal Design in Canada. How Sam Sullivan Changed the World - by Boat! Schedules didn't allow us to meet when I was up in Vancouver researching progress on inclusive tourism for the 2010 Winter Paralympics and Olympics but here Sam Sullivan, mayor of Vancouver, talks about how he pioneered the sport of disabled sailing. Continue reading How Sam Sullivan Changed the World - by Boat!. Continue reading Universal Design on the Public Agenda in the Philippies. The goal of our work is "inclusion." It's the perfect work. The goal is universally appealing. By the time you have succeeded nobody can understand why the world would have ever been otherwise. That is why these reviews of universally designed homes are so illustrative. They document the cultural shift towards the "new common sense" approach to the built environment. One by one people all over the world are making a lifestyle change. As homes are redesigned for owners to live in them for much longer periods (aging-in-place) they also naturally become available as places of hospitality for those with disabilities who are currently excluded by design (Visitability.) As domestic standards of comfort and socializing turn toward environments that accept social inclusion as fundamental commercial environments such as hotels, resorts, and vacation vehicles feel the market pressure to do the same. This review of a universally designed home in Virginia tells the story of one more step toward the human-centered approach to hospitality. Continue reading Design for Human-Centered Living. Australia released the draft strategy for consultation at the International Conference on Disability, Disadvantage and Development in the Pacific and Asia held 29 September – 1 October as part of its strategy to become the regional leader in promoting disability rights. Australia has recently ratified the UN Convention on the Rights of Persons with Disabilities, and, in addition to a disability strategy for its aid program, is preparing a national disability policy to be released in 2009. With a longstanding program promoting Inclusive Tourism Australia could take global leadership by linking the economic engine of tourism to its aid and national disability policies. Continue reading Australia Leads Support for People With Disabilities in Asia Pacific. Travel, tourism and hospitality is the world’s largest industry, responsible for 8% of global employment, 9% of invested capital and 10% of global GDP. Millions of citizens will leave their borders for the first time this year; international tourism actually grew year-over-year about 5 per cent in the first four months of 2008 (UN World Tourism Organization). The marketplace is enormously fragmented because of the terrestrial nature of travel itself. Companies and infrastructure are required to be located all over the world, one destination at a time. However, the travel researching, planning, sharing and purchasing process is wholly digital, which is why travel is an e-commerce category killer. Technology-based innovation that improves customer travel planning experiences are therefore enormously important to the overall industry. Continue reading The Travel Innovation Summit at the PhoCusWright Conference. Greetings from DANISHKADAH (an organization for empowerment of Persons with Disabilities)! We are working for promotion of web / information accessibility since many years. In past we just tried to raise awareness for the importance of web / information accessibility. Now we are taking a step forward and offering accessible web development course for Persons with Disabilities (PWDs) and for those working for/with Disabled People Organizations. 1. Raising the awareness about web accessibility and equipping more people with knowledge of how to develope accessible website. 2. Capacity development of Human resources of DPOs and individual PWDs in web base networking and accessible Information and Communication Technology (ICT). 3. Enhancing the web base networking of DPOs, by enabling them to build their own accessible websites. 4. Offering a new IT skill to PWDs that may help in income generating. 5. To promote distance education, training course for outreach marginalized communities. Continue reading Inclusion Through Good Online Design. The other day I was standing in the hotel bar watching the TV. The volume was turned down completely but thanks to the real-time captioning I was able to follow the news broadcast. The day after, I was spending some hours waiting for my delayed flight at Heathrow airport to get ready for departure. There was a TV on the waiting area, again with the volume turned down. This time there was no captioning. However, they did have a sign-language narrator in the bottom right corner of the screen. That didn’t help me much since I can’t understand sign language. I was experience “Situational Disability”. In this case, text would have helped everybody that could read. Now, what about Audio? There are a great number of reasons why audio version of the text is as universal as text version of audio. Continue reading ReadSpeaker Blog on Listening as UD and CSR. ...appliances with the EnergyStar logo are extra-efficient and have become the norm in new appliances. The placement of appliances is starting to reflect the interest in universal design, the idea that a home should accessible to everyone. Although universal design hasn't taken over home design yet, builders say it's become more mainstream thanks to baby boomers interested in building a home or renovating so that they can live there for decades. Continue reading Homes Going Green and Livable for the Long Term with Universal Design. "Good design enables, whilst bad design disables"
With English used in so many geographically distinct regions differences arise in usage. Here Jim Sandhu's classic paper on "design for all" creates the path to the current global dialogue on Universal Design as applied to services not simply to built environments. The design for all approach covers a range of meanings which are synonymous with - barrier-free, inclusive, transgenerational, universal design, etc. Another often quoted phrase associated with design for all is "designing for the broader average." This far the approach has focused mainly on the built environment and products. However, in the last few years there has been an increasing awareness that the approach is fundamental to the provision of public services through telematics and to a barrier-free Information Society. That is the main focus of this paper. The approach recognises that accessible systems, products, reliable information sources and environments can maximise choice and enhance the ability of the individual to live independently and to exercise citizenship proactively. Underlying this is the fact that although not everyone needs assistive technology or specialised products like wheelchairs, everyone but everyone needs good design whatever the context. Good design enables, whilst bad design disables, irrespective of the user's abilities. That in essence is what design for all is about in the context of public services. Continue reading "Good design enables, whilst bad design disables". "The sales point for hotels and brand India is Atiti Devo Bhava especially when guests are getting older. There is a need to understand this aspect and train hotel staff and make them realise that a wheelchair is part of the body (of the disabled) and that they need to observe, interact and understand their needs," said [Dr. Scott] Rains. However, the crucial aspect missed by most planners at the designing stage is accessibility, and for [Craig] Grimes it is all about putting the person first and not their disability. He says, "I think it is probably a lack of information and culture for many. The disabled have been at home all this while and even hotels having facilities for the disabled aren't advertising enough." Continue reading Express Travel World: Complete Access - India. The Graz Declaration on Disability and Ageing resulted from the June 8-9, 2006 conference on Ageing and Disability in Graz, Austria. Continue reading The Graz Declaration on Disability and Ageing (2006).